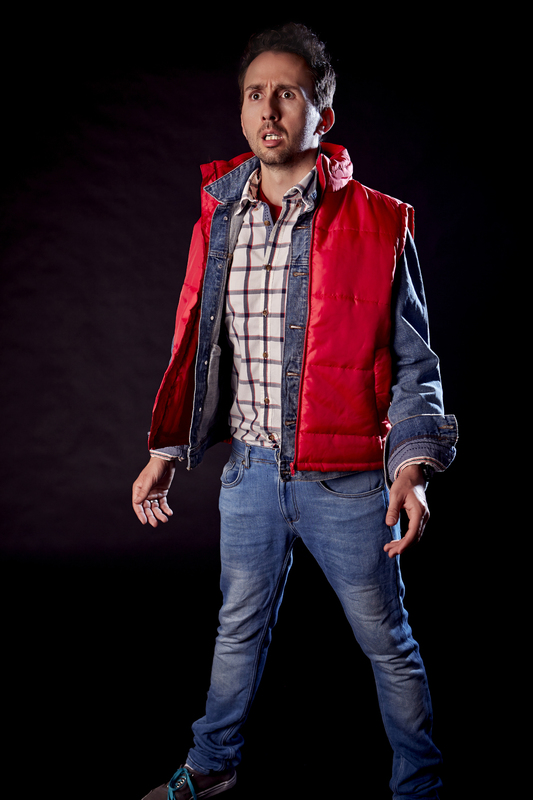 Malcolm Hardee Award nominee and BEST SHOW WINNER at the Buxton Fringe 2014, Nathan Cassidy with the final show in this tear's trilogy, it's Back to the Future III. What happens when you run out of ideas? 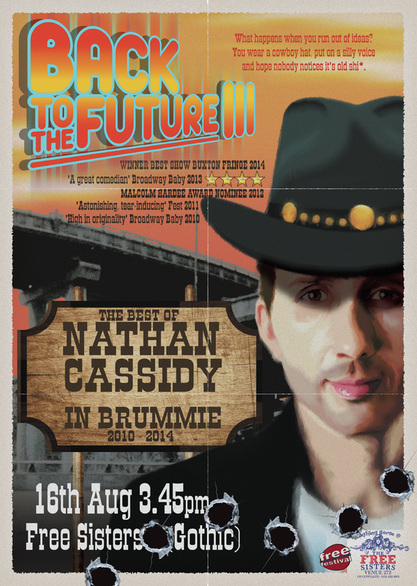 You wear a cowboy hat, put on a silly voice and hope that nobody notices it's old sh*t. The best of Nathan Cassidy 2010-2014 (in Brummie). For high-res images, please click on the link below or find more under PRESS.